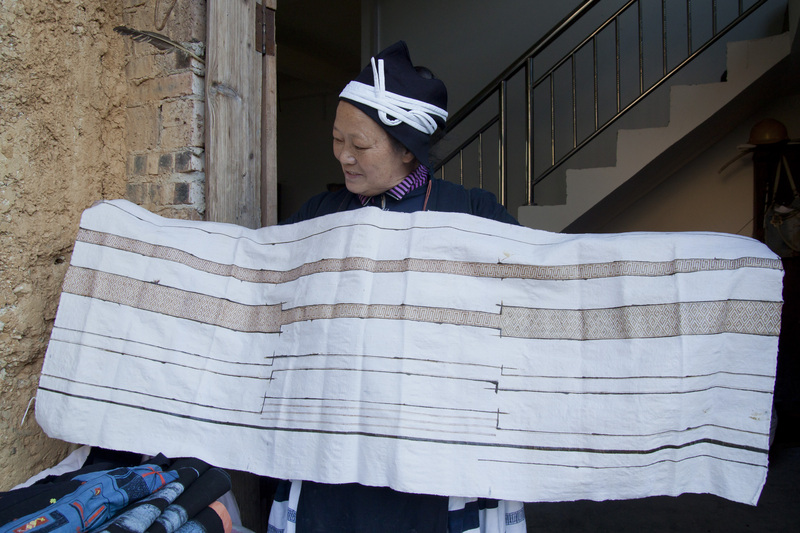 He Jinxiu holds up a length of cloth partially painted with sap for resist dyeing. The cloth will eventually become a skirt. December 15, 2017.